Size 2 1/4 in. L. x 1 1/2 in. W.
This assortment of card games includes all of the classic favorites. 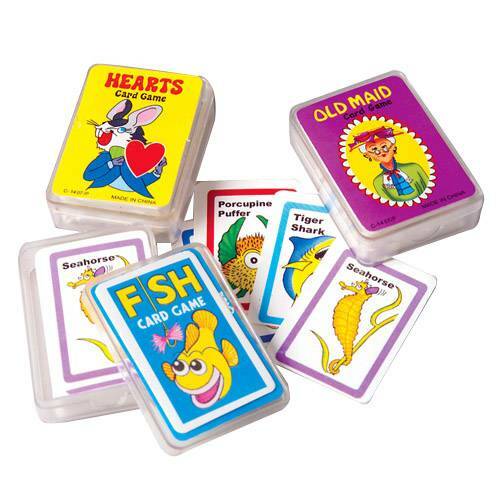 Assorted go fish, old maid, and rummy are includes in this playing card assortment. Playing cards are perfect for any child's goody bag.